The reason behind NAC Mutual Pool (NMP)? Traditionally, most of liquidity supply for trading activities comes from financial institutions (state banks, private banks, investment funds, insurance firms and so on) with high fees, complex architectures, inconsistency and lack of transparency. Nami has invented a breakthrough solution – NAC Mutual Pool – to address these issues in order to cut transaction costs to the minimum for traders on nami.trade. So, what exactly is NAC Mutual Pool (NMP)? NMP is an instant liquidity solution for trading activities on nami.trade, which offers fees hundred times lower than the current traditional model. Four key components are used to build up an NAC Mutual Pool, namely three main liquidity provider funds: NAC Liquidity Fund (NLF), NAC Liquidity Pending Fund (NLPF) and NAC Exchange Traded Fund (NETF); the last component is a Revenue Fund. NAC Liquidity Fund (NLF) acts as a fixed reserve fund and is the base pool which is built by NAC Liquidity Fund Contributors (NLFC) who contribute their NACs to the NMP from the beginning in order to ensure the market liquidity. NAC Liquidity Pending Fund (NLPF) is where the NACs from traders’ commercial operations are kept for a period of time, precisely, from the time the order was concluded to the moment is executed. NAC Exchange Traded Fund (NETF) issues the so-called FCI (fund certificate) to increase the working capital used to liquidate transactions for traders on nami.trade. How to allocate dividends of NLF Revenue Fund and NETF Revenue Fund? Revenue of NLF and NETF comes from traders’ transactions and FCI trading. Contributors of NAC Liquidity Fund can withdraw money from NLF Revenue Fund according to their proportion of shares in NLF on a weekly basis (adjusted form daily basis as was originally stated in white paper). While the amount they transfer to NLF in order to contribute to the market liquidity only can be withdrawn once every 3 months (adjusted form once a year as was originally stated in white paper). Investors who own FCI certificates have the opportunity to receive more NACs in relation to a monthly performance of NETF (means they may benefit on a monthly basis). Connect your wallet to metamask. How to transfer NAC into NLF? Enter the amount of NACs that you want to transfer into Pool in the tab ‘deposit’ and click “deposit”. Enter the amount of NACs that you want to spend for the purchase of FCI in the tab “buy” then click “register buy”. Please note that: Your FCI will be sent to your registered wallet after 00:00 of the following day. 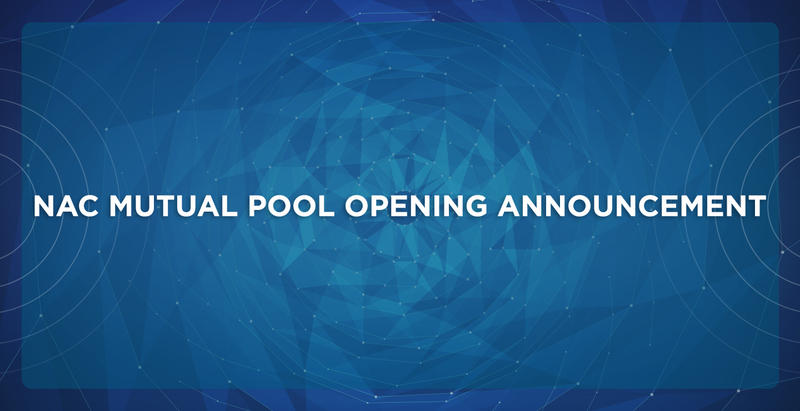 Find more detailed information about NAC Mutual Pool and FCI here. We will keep you updated on the latest developments and news from our team in the next articles.